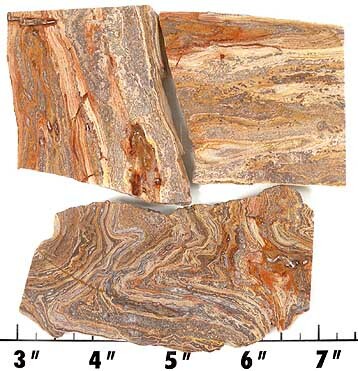 Swirl Rhyolite is also known as Ribbon Rhyolite. It has a fantastic colorful pattern. 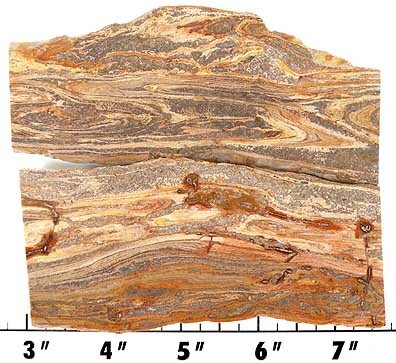 It was laid down through multiple deposits, folded and then partially silicified. 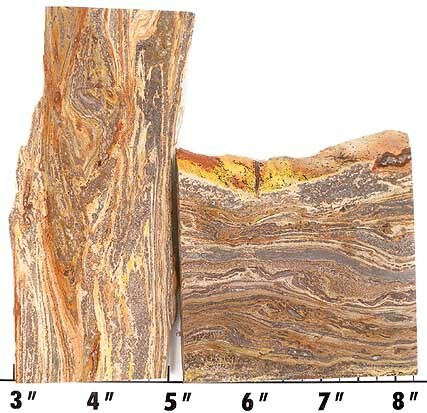 Because Swirl Rhyolite was laid down in successive layers, it can break apart along the lines of separation. 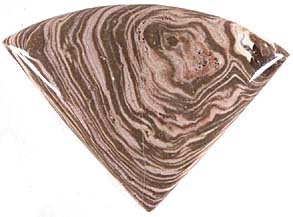 However, if handled gently while cutting, grinding and polishing, Swirl Rhyolite will create gorgeous gems. Rhyolite is of volcanic origin. It polishes well with diamond, tin oxide and a quick final polish with Zam (Green Rouge) will produce a higher polish. MOHs hardness is 5.5 to 6.